Gaming news for June 4 through 8. The pre-E3 hits keep coming and coming and coming. We’ve already covered the announcement of Hitman 2 this week, plus Destiny’s big Forsaken expansion. 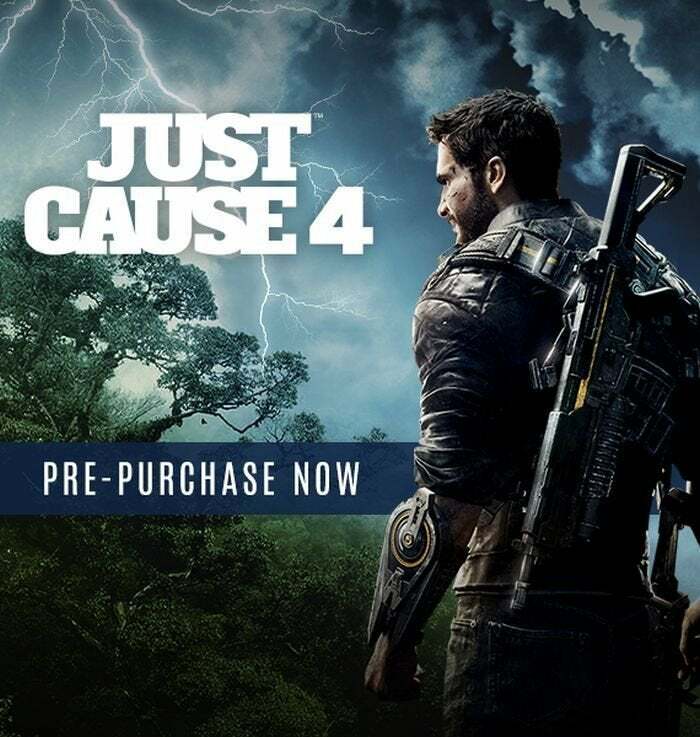 But Just Cause 4? A new game from Dontnod, the same week as the release of Vampyr? Dead or Alive 6? A second game reveal from Avalanche, in the same week? That news, plus the final days of Evolve, delays for Crackdown 3 and Total War: The Three Kingdoms, a Diablo IV tease, a handful of release dates, and more. This is gaming news for June 4 to 8. You know what? I’m happy to check out just about anything Dontnod makes at this point. Life is Strange and Vampyr are both flawed in a dozen or more ways, and yet somehow more interesting than most of the ultra-polished stuff that releases every year. So I’m intrigued by the prospect of Twin Mirror, announced just this morning. From the description: “The death of a friend. A broken heart. A hometown that’s no longer home. With no memory of the night before and an ominously bloody shirt as his only clues, it’s time for Sam to find the truth.” A “story-driven investigation game,” there are definite shades of Alan Wake here. 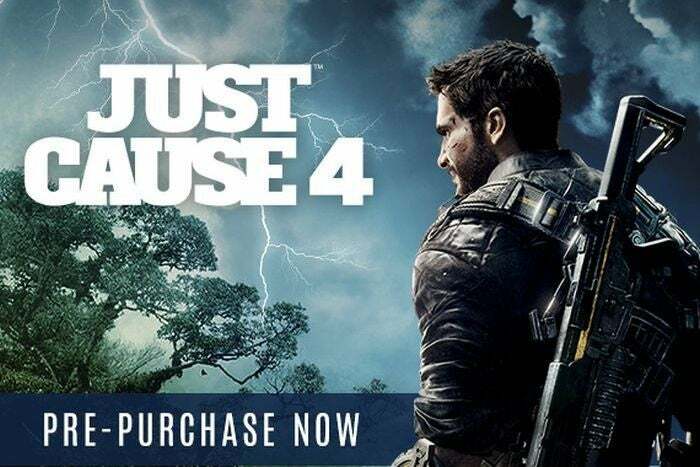 Much less official, but still basically confirmed: Just Cause 4. And you know who leaked this time? Not Canadian Walmart or Italian GameStop or something like that. No, this came directly from Steam’s news feed. Oops. The good news is Total War: Three Kingdoms finally surfaced this week, giving us a look at Creative Assembly’s take on China and the Romance of the Three Kingdoms. The bad news: It’s slipped to 2019—perhaps because of the lukewarm reception to Total War: Thrones of Britannia a few weeks ago? Also delayed to 2019: Crackdown 3. Yes, it’s delayed again, according to Windows Central. Part of me wants to recall that ol’ Miyamoto quote about a rushed game being bad forever, but oof. It’s doubly painful considering Microsoft’s current fall slate is...basically empty. Let’s hope E3 this week gives Xbox fans something to look forward to in the coming months. Moss is one of the few PSVR games I’ve been waiting to come over to PC. It looks incredibly charming, as you (a human-sized human) try to help Quill (a mouse-sized mouse) traverse through the world and battle creatures. And good news: It came to Oculus and Vive this week. I’m looking forward to playing it post-E3—I imagine it looks amazing on PC compared to its PSVR counterpart. Is it an “E3 2018 Teaser” if it drops before E3? I’m not sure, and not sure I care when the game in question is The Walking Dead – The Final Season. I’m looking forward to wrapping up Clementine’s story with Telltale this year, and from this new trailer it looks like that process will begin August 14. Code Vein, a.k.a. Anime Dark Souls is also due to release this year, and we finally have a date courtesy of the new “4th Trailer,” which comes in at a whopping six minutes long. Look for Code Vein on September 28. And then there’s Red Faction: Guerrilla Re-Mars-tered, a title which still makes me cringe and laugh simultaneously, every time I see it. The good news here is that the remaster will drop on July 3, right in the doldrums when there’s barely anything else to play. Look forward to a long summer spent dismantling Martian outposts again. Despite some pacing issues and general jank, BattleTech is one of my favorite games this year. No surprise then that publisher Paradox apparently feels similar: This week, developer Harebrained Schemes was officially acquired by Paradox. Perhaps Harebrained finally saw the end of the crowdfunding model in sight? In any case, congrats to the Harebrained folks—though I hope they get to make more Shadowrun at some point in the future. Those games were great too. Far Cry 5’s DLC plan seems designed for people who count Blood Dragon as one of the best entries in the series. Vietnam, Mars, and zombies? Not exactly what I’d expect. The first of those releases, the Vietnam/Rambo-themed one titled Hours of Darkness, arrived this week. No idea if it’s any good or not, but it’s at least more intriguing to me than the base game. Maybe we’ll learn more at BlizzCon later this year? The last announcement of the week, at least until EA’s press conference tomorrow: Avalanche, in addition to Just Cause 4 and Rage 2, is also working on an open-world shooter called Generation Zero. A self-published game, for that matter. That presumably means it’s a bit smaller in scope than Avalanche’s other games, despite being open-world. It sounds interesting though, with the Steam page saying the game is set in 1980’s Sweden. Pretty unique. Look for it in 2019, and maybe keep an eye out for a trailer during E3? And we’ll close out this week with the last whimper of 4-vs-1 shooter Evolve. First released in 2015, then pivoted to free-to-play in 2016, 2K announced this week that dedicated servers will cease in September, and Evolve Stage 2 will be shuttered. Those who own the original version of Evolve (now called Legacy Evolve) will still be able to play peer-to-peer matchmaking, but no ranked play or anything along those lines. A sad and ignominious end for a game that had a lot of potential, but never quite made good on its promise. I also recommend reading this Reddit thread from designer Matt Colville, where he post-mortems some of the problems Evolve encountered—including limits on how often the team was able to deploy patches, how hard 4-vs-1 proved to balance, and the game Turtle Rock actually wanted to make but couldn’t fund.